Nestled right next to the Sydney Harbour Bridge and established in 1978, Kirribilli Seafoods is known for its fresh, high-quality food and friendly customer service. Offering a wide variety of culinary dishes from the sea, it’s a definite “must” on any foodie’s destination list. 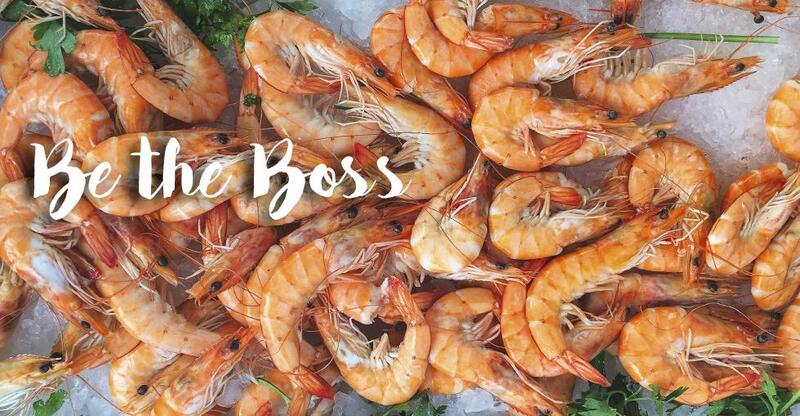 The current owner, Hendra Rioh, was originally an employee of Kirribilli Seafoods when his boss decided to sell the business. Hendra didn’t blindly jump into restaurant ownership. He moved to Australia with a Certificate III in Hospitality and began working in a fish market. He continued to gain experience in the food industry through various jobs in hospitality until he started working for Kirribilli Seafoods. He has now been with the business a total of twelve years, eight years as an owner. Currently, he has a small team of seven staff members that keep things running efficiently. Hendra also attributes his exceptional staff to one of the main reasons that customers select Kirribilli Seafoods over his competitors. In addition to appreciating the fresh seafood, his customers frequently comment on the staff’s friendliness. Kirribilli’s primary customers are local residents, students and tourists, and Hendra’s love for them becomes apparent when he is asked about some of the advantages of owning his own business in the food industry. This support is likely a direct result of Hendra taking the time to engage with them and respond to their feedback. Of course, running his own business has not come without its fair share of challenges. The ups and downs of the economy have always affected his bottom line, but in the past few years, he thinks the biggest shift in the industry has come from the rise of food delivery services. Even though they are delivering his food to his customers, Hendra still views them as his primary competition because they are changing people’s behaviour. Also, these delivery services charge businesses a significant percentage of the food price, resulting in an overall decrease in his profit. Even in a highly competitive market, Hendra shares that one of his primary marketing tools is word of mouth. Hendra is excited about what the future holds for Kirribilli Seafoods and continues to set goals for continued growth and success. Within the next ten years, he is hoping to expand the business by opening up another shop in a different location.